Refugio (KIII News) — Like many people, lifetime Refugio resident Adelia Resendez lost nearly everything to Hurricane Harvey. Wind and rain destroyed Resendez 30-year-old home which was a devastating loss for the 82-year-old and her family. “I started to cry I didn’t know what I was gonna do,” she remembered. Before the storm, Resendez had hip-replacement surgery and stayed with her son Reyes Resendez in Freer, Texas. After Harvey hit Refugio, the duo returned to the home. “She saw the house, just the tears was like- I couldn’t take it away, she’s my mom she takes my tears away,” Reyes said. The destruction was especially hard because the fond memories it held; the house was built by her loved ones, including her late son. “Everybody in our family had something to put in, and so that’s why it was so devastating to see it all gone,” Adelia said. For months, Reyes tried to get his mother help; she didn’t qualify for federal aid. “‘Cause mom takes care of us, there’s thirteen of us, now it’s a chance for us to take care of her,” Reyes explained. After prayers and hard work, flocks of volunteers were rebuilding Resendez’s home from scratch. “It’s just a blessing to see so many people stop what they’re doing to help one another,” Reyes said. Adelia’s case was presented to the Coastal Bend Disaster Recovery Group, and funds were approved in February. According to a press release from CBDRG, there were several contributors including the Episcopal Diocese of West Texas, Rio Texas Conference of the United Methodist Church and the Christian Public Service. 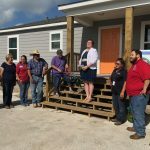 Additionally, a majority of the construction was done by the Christian Public Service, a faith-based group which brings in volunteers from churches across the nation. “Doing this, it makes us wanna do it again, I mean this is only one, man I wanna do 100 I wanna do 200!” Dan Lincoln with CBDRG exclaimed. 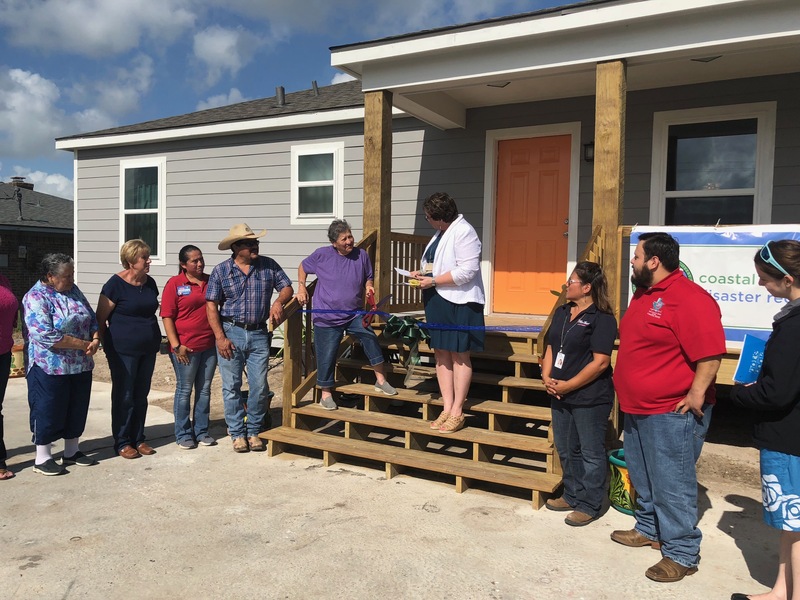 As Resendez’s new home neared completion, the Coastal Bend Food Bank and Salvation Army donated food and other household necessities to Adelia; she takes care of two of her grandchildren and two great-grandchildren. “I wanna thank everybody that helped us,” Adelia said as she sat in her new home. Now, Adelia is all smiles, but she said the generous act of selflessness does tug at her heartstrings. “You’re so overwhelmed and happy that this is happening that you can’t help but shed a few tears,” she said. This is the first house completed by the groups involved. 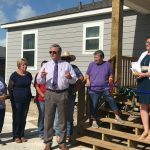 According to Lincoln, they hope to complete more homes as they gain funding and volunteers.